DHT or dihydrotestosterone is an androgen male hormone which plays a vital role in the male development and is responsible for the many characteristics in male body development including chest hair, deep voice and muscular body. Women also produces DHT but in very less amount. DHT is produced in the body when hormone testosterone is converted into the dihydrotestosterone through the enzymatic action of 5-alpha reductase. What converts testosterone to dihydrotestosterone (DHT)? 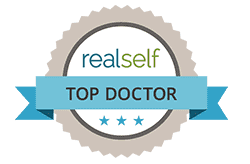 The androgen hormone which is secreted in the body is testosterone but in order to be carried out to tissue such as that in the brain or the skin, hormone testosterone bonds with the enzyme 5-alpha reductase to produce dihydrotestosterone. 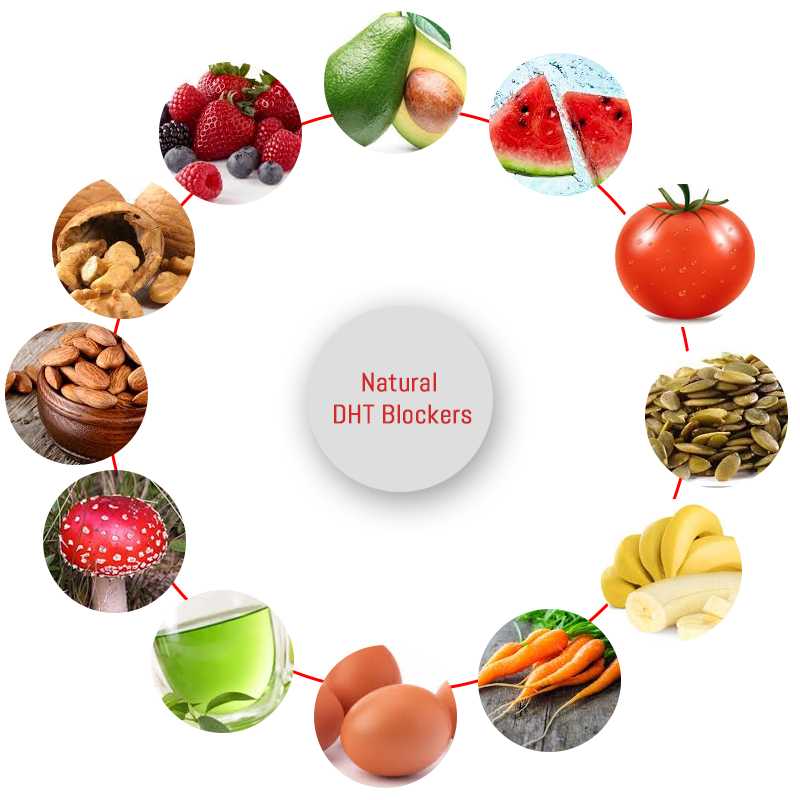 DHT can be influenced by the both external and internal factors which contributes to the increase in the hormonal levels in the body. For example, some say that stress causes hair loss but indirectly. Stress causes the release of cortisol hormone in bulk which further increases the adrenaline testosterone and dihydrotestosterone.Men with an enlarged prostate will also have increased DHT levels and there’s even a theory that the mechanism behind male pattern baldness is the body’s way to protect men from prostate cancer. 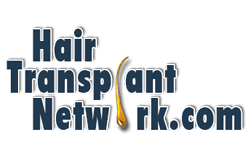 How DHT causes Hair Loss? 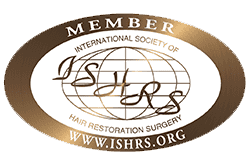 The role of DHT in hair loss is that DHT binds to the androgen receptors present on the hair follicles. Binding of DHT to hair follicles causes the alteration in the hair growth cycle and results in the hair miniaturization. It is known that DHT binds to follicle receptors five times more avidly than testosterone. 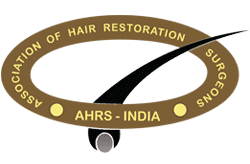 DHT hair loss in men is of male pattern baldness and causes hair loss or hair thinning along the hairline, temple and crown region. 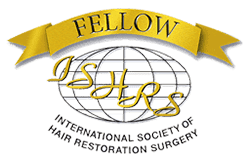 Eventually this type of hair loss spreads, resulting in a horseshoe-shaped ring of hair around the bottom of the scalp. 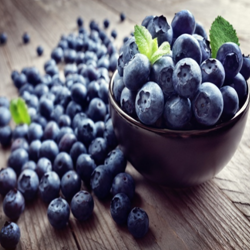 1) Berries: Blue Berries are rich in vitamin C.
Vitamin C is essential for the circulation to the scalp so that there is adequate blood nutrient supply to the hair follicles. Berries also contain flavanoids which increases the blood circulation in the scalp. 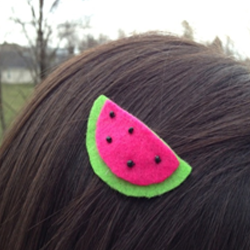 So go for the sweeter way to support your hair and make them strong & beautiful. 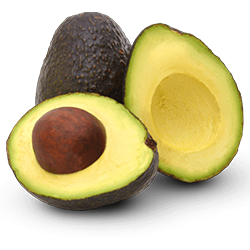 2) Avocado: Avocados are one of the biggest natural DHT blockers. They are rich in proteins, amino acids, magnesium, folic acid, copper and iron. All are necessary for proper hair growth. Oils in the avocado penetrate into the cuticle and help to moisturize the hair. Phytosterols & high levels of antioxidants stimulate the hair growth & unclog the blocked pores. 3) Almonds:Crunchy nuts are full of protein and are brilliant source of biotin. Almonds are also known as “Hair vitamin”. Almonds help in strengthening of your hair follicles. Hair follicles often become weak, dull and with excessive oil and pollution, you can see dandruff flakes on your scalp. 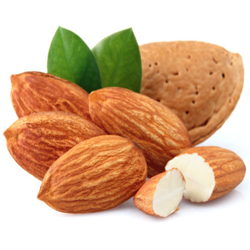 Vitamin E in almond helps to condition the hair follicles. So just eat a handful of soaked almonds in the morning and be beautiful with long, shiny & healthy hair. 4) Tomato: Lycopene in tomato inhibits the DHT by regulating or inhibiting 5 alpha reductase. Antioxidants in tomatoes help to fight cells causing damage the hair follicles and causes hair fall. Beta-carotene helps to supply nutrients to the scalp for hair growth. 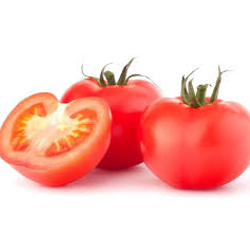 Tomatoes can be easily included into diet in form of salads, sauce, and pastes or added to any your favorite dish. 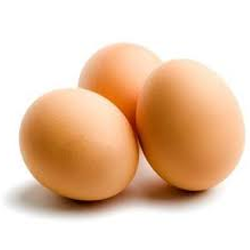 5) Eggs: Eggs are rich in Biotin. Egg white contains avidin (protein) that binds to biotin. Eggs contain cysteine, a key amino acid for hair growth & found in hair keratin. Boiled or cooked eggs act more as DHT blocker than raw ones. Just like boiled egg having bounce, add volume & bounce to your hair easily by eating eggs daily!! 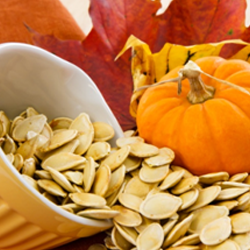 6) Pumpkin Seeds: Little munchkin pumpkin seeds contains number of essential minerals including zinc, magnesium, iron etc. These minuscule seeds contain a unique amino acid cucurbitin, that helps in hair growth. L-lysine, iron and omega 3 fatty acids (Linoleic acid and Oleic acid) improves hair growth,quality & texture. A handful of tiny pumpkin seed is enough for you at anytime. You can toss them into your favorite salad too!!! 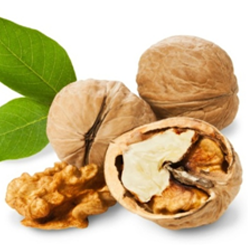 7) Walnuts: Walnuts contain L-lysine which is a natural DHT inhibitor. Walnuts are high in protein. Best source of vitamin E (gamma tocopherol), promotes hair growth. Contains rare anti-inflammatory nutrients such as Tannins which combat hair loss. You can incorporate more walnuts to your diet. Consuming direct nuts can be the best way. But if you don’t like the rancid smell of nuts, you can make salad with your own favorite fruits. 8) Banana: They are also rich in Biotin, which prevents the conversion of testosterone to DHT. Bananas are good source of potassium which help to maintain the circulatory system to work properly so that there will be adequate nutrient supply to the hair follicles. Bananas also contain FOS (fructo-oligosaccharides) that help to maintain the healthy gut bacteria (R). Healthy gut will reduce the overproduction of DHT. 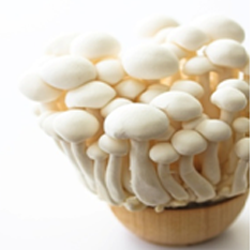 White mushrooms are also abundant in zinc, which blocks DHT production in the body. It also contains high sources of vitamin D and pantothenic acid, all vital for growing thick hair on the scalp. 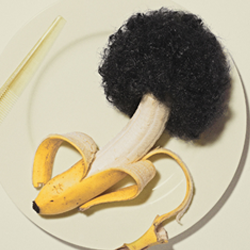 Your hair must grow like a tree long, thick & mushrooms can help you in this…so eat as much as you can!!! 10) Carrots: Regularly use of carrot can make your hair lustrous, silky & smooth. Carrots are rich in beta carotenes, vitamin A, C, E, K, potassium & fiber. Carrots stimulate the hair growth and texture. They also prevent hair breakage and hair fall. Carrots protect your hair from external damages like pollution, weather etc. 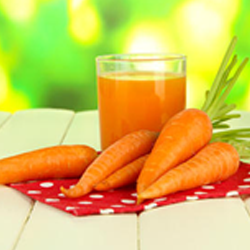 You can munch carrot a day or slurp carrot juice daily for beautiful long and healthy hair. 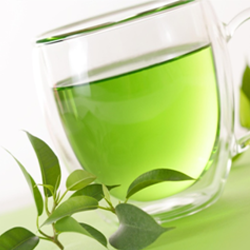 Green Tea contains vitamin B (panthenol) which is mainly used in hair conditioners. Green tea is rich in antioxidants EGCG (epigallocatechin gallate) which stimulates the hair growth (R). Polyphenolic compounds or catechins are antioxidants which protects your hair from external as well as internal damage. Watermelon contains lycopene, whichblocks DHT. Watermelon is a rich source of vitamin C, B12 & B6. They help in hair growth & citrulline helps to eliminate the excess DHT from the body. You are one in “MELON” (million), so don’t let the charm fade away,,, Eat watermelon all the day!! !